Summer school will commence on the 30th July 2012 between the hours of 10:00-14:00 Monday to Friday. The final day of summer school will be the 10thAugust 2012. It is available to all our new year 7 students who will be joining us in September 2012 and will focus on the Olympic values. 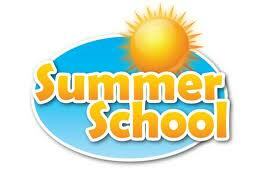 Miss Ives and Miss Mountjoy are running the summer school; both teachers will teach the students from September. This will be a fabulous opportunity for all students to work with two exceptional members of staff. The travel arrangements to and from the summer school will be your responsibility. If you have not returned a form to school do not worry, turn up on the first day and collect a form. If you require more information please leave a comment, email lhall@collegiateweb.co.uk, text or call 07854174834. We look forward to welcoming your child to our Summer school. This entry was posted on July 27, 2012 at 2:09 pm and is filed under Year 7. You can follow any responses to this entry through the RSS 2.0 feed. You can leave a response, or trackback from your own site.